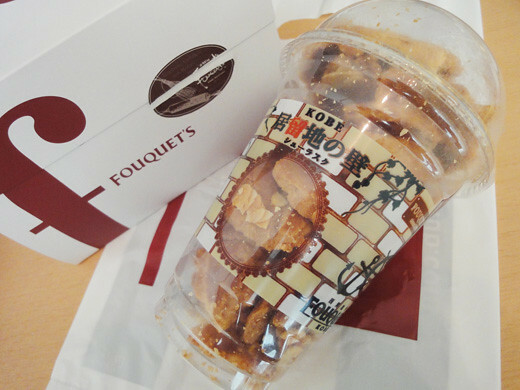 My friend who lives in Kobe sent me a Puff Rusk, ‘Kyoryuchi no Kabe’ (wall of enclave) from FOUQUET’S in Kobe. A rusk is usually made of bread or biscuit, however, its rusk is made of puff dough with sliced almond nougat that makes crispy touch. And, I love the light bitter taste. 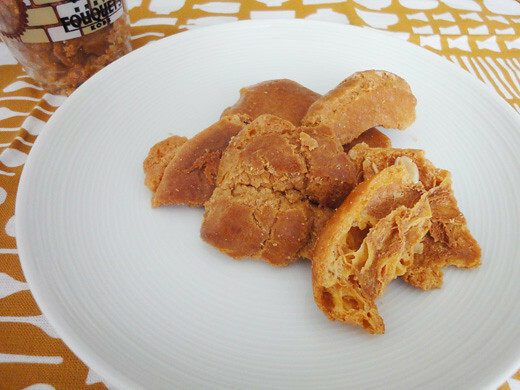 I really enjoyed the rusk, and it was very good for tea break on a Sunday afternoon .